With the Streetware USB software, utilized with an appropriate USB device, you can configure the periods and the percentage reduction of luminous flux emitted by our urban lighting luminaires. It is often unnecessary for luminaires to operate at 100% luminous flux - at dusk or dawn, or at certain times when there is considerably less vehicular traffic, or in seasonal cities with fewer visitors during certain periods of the year - one can reduce the luminous flux and thereby cut power consumption, while maintaining illumination requisites for safety. 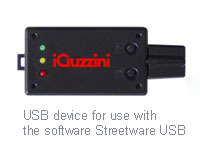 Streetware USB has 2 operating modes: Streetware (Constant Lumen Output) and Standard. You can create a personalised configuration that meets the specific requirements of a particular lighting project by connecting to the streetware.iguzzini.com website. Three operating modes are available: Constant Lumen Output (CLO), Constant Power Input (CPI) and Standard. The web application helps designers identify which products will best achieve the levels of performance they are looking for. The Streetware USB software "Streetware" mode is designed to transfer the configuration calculated at streetware.iguzzini.com to a USB device. 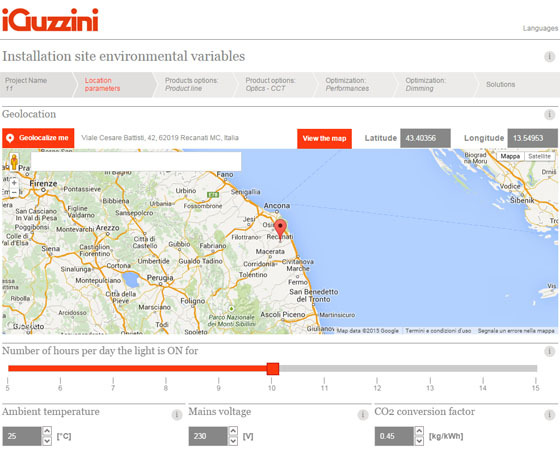 Each unit is equipped with four usage profiles, corresponding to three different values ​​of lumen output *. Pen Profiler allows you to set each profile with up to 6 dimming intervals. Once the configuration has been calculated using the Streetware or Standard mode, it should be transferred to a USB device by connecting the stick to your PC. In both cases the operation should be carried out using the Streetware USB software.